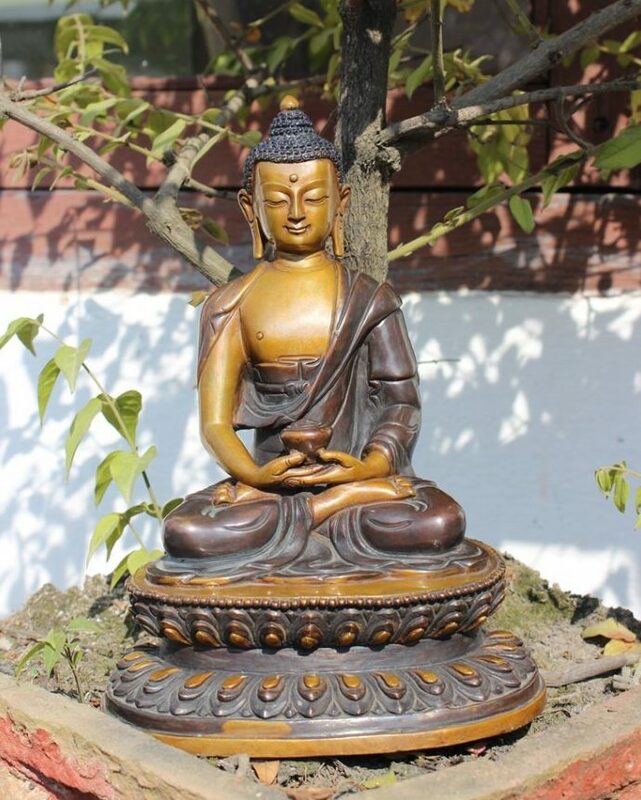 This Amitabha Buddha statue is made of copper and designed to give antique finishing. Amitabha Buddha Statue is Oxidized to give two color Antique look. 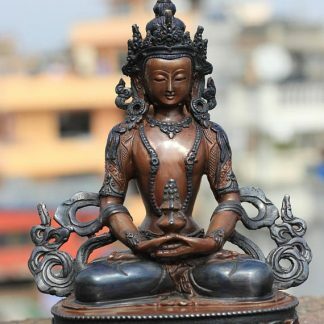 The statue is handmade in Nepal with casting technique lost Wax Method. Wholesale order is accepted. Please contact us for more. 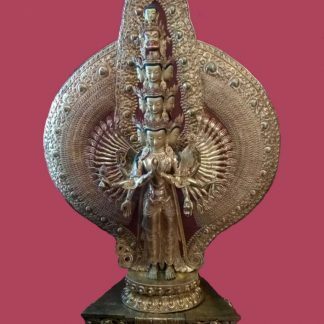 This statue can be used for meditation purpose. 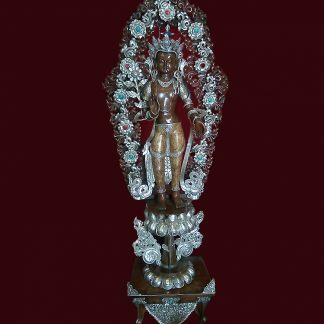 Amitabha is one of the most popular and well-known Buddha. 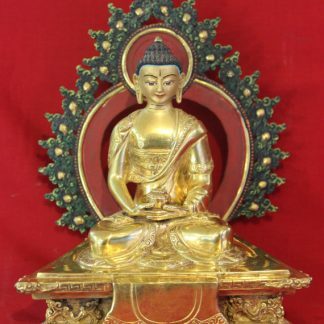 Amitabha Buddha is also known as Amitayus and one of the five dhayani Buddhas. 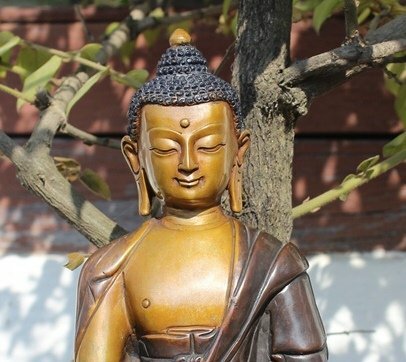 Amitabha means boundless light and boundless happiness. 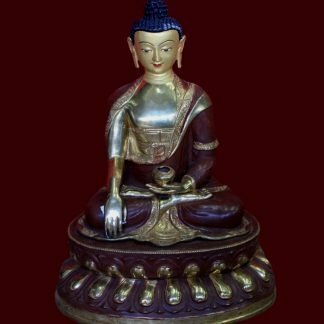 For more details on Amitabha Buddha click here.